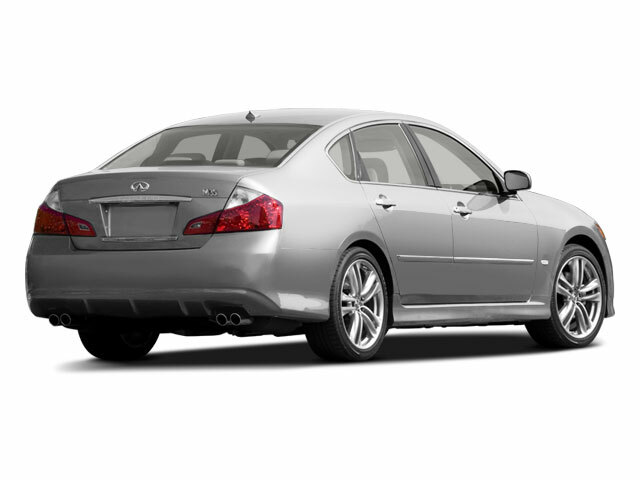 For 2010, INFINITI's M35 and M45 flagship sedans receive only minor changes. The INFINITI Mobile Entertainment System Package is now included as part of the Premium Package, though that package is no longer available on the M35 models. African Rosewood interior trim is no longer available with the Sport Package and Lakeshore Slate, Desert Shadow and Sahara Sandstone exterior colors have been deleted. The M, as it's called by INFINITI, is available in four different models; there's the V6-powered M35 and the V8-powered M45, both of which can now be had with either rear-wheel or all-wheel drive. The 4.5L, DOHC V8 makes 325 horsepower in the M45, while the M35 comes with a 303-horsepower 3.5-liter V6 variant of the popular engine also found in the INFINITI G.
The V8 is especially noteworthy; it has titanium valves, a microfinished crankshaft, lightweight pistons and a single-stage cam drive-chain for quiet-running and robust power delivery. The M35x and both M45 models come with a 5-speed automatic transmission with manual mode, while the M35 gets a 7-speed unit. Both transmissions automatically match revs during downshifts for a sporty feel and better control. An independent double-wishbone suspension in front and multi-link setup in back, along with stabilizer bars, creates crisp handling. The doors, hood and trunk lid are made of aluminum for weight savings while also improving handling. The all-wheel-drive system now offered with either engine reverts to a 50/50 distribution for standing starts and limited-traction situations, then it delivers up to 100% power to the rear wheels when cruising or when needed for traction. Electronic stability control is also included, with standard anti-lock brakes with electronic brake-force distribution and brake assist. A lane departure prevention system uses a small camera to detect when you're drifting out of your lane and applies slight brake pressure to the wheels opposite the drift to gently guide the vehicle back into position. 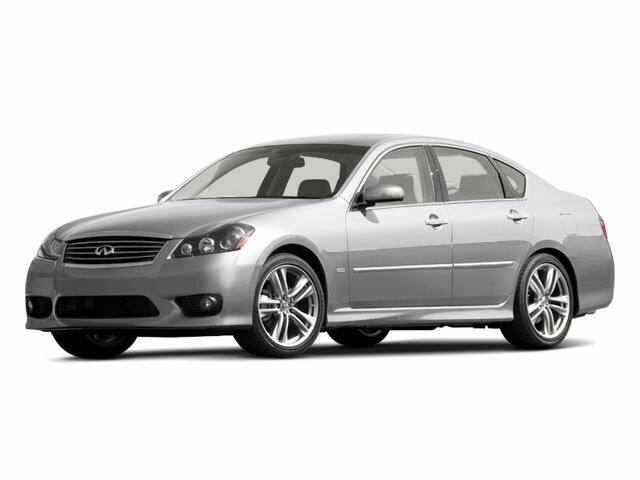 Even though the INFINITI M fits equally into both sport luxury sedan categories, the M's interior is equipped in the style of the best luxury cars, with leather upholstery matched with rosewood or aluminum trim. Standard leather seating and climate-controlled front seats are also included, plus a very long list of luxury conveniences. The available Sport Package, in addition to appearance enhancements inside and out and larger 19-inch wheels and tires, includes the rear active steer system, which uses electric motors to precisely adjust the rear-suspension geometry for better control depending on steering input and vehicle speed. INFINITI claims the system helps bring sports-car-like agility with luxury sedan stability and ride quality. Standout options include a Bluetooth hands-free phone system, a rearview monitor, intelligent cruise control and heated power reclining seats in back. The top available sound system employs Bose surround sound and has 14 speakers, including two speakers mounted onto the shoulder area of each front seat. 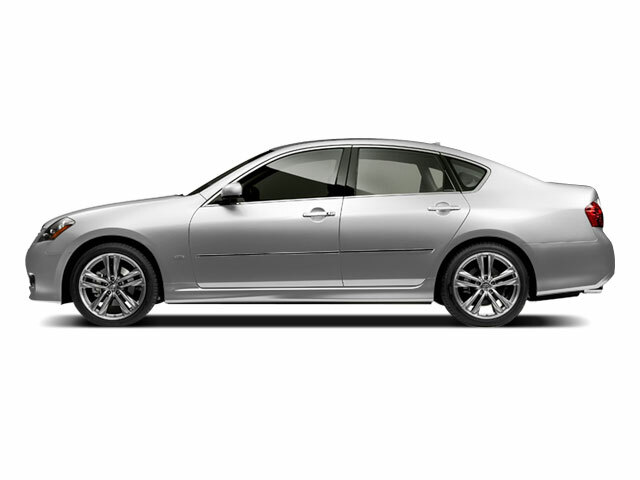 Part sport sedan and part posh luxury car, the 2010 INFINITI M35 and M45 stand out from the market due to their available onboard technology features, including a sophisticated rear-wheel steering system and a lane-departure system that actually nudges the vehicle back into its lane. Both M models also stand out for having a quiet interior, a well-controlled ride and strong, smooth powertrains.